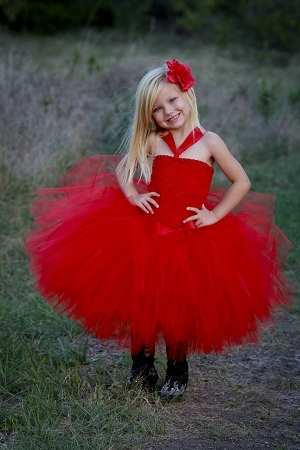 This red tutu dress is perfect for your wedding or special birthday event. The top is red with a red lining for added coverage. 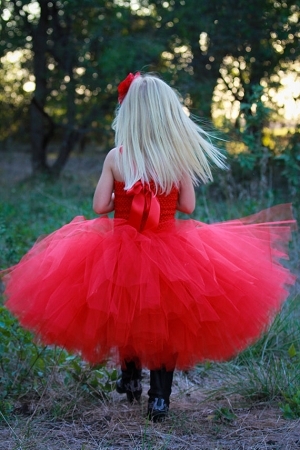 It has an extra fluffy skirt with more fabric for a fuller look. There is a satin bow at the waist. 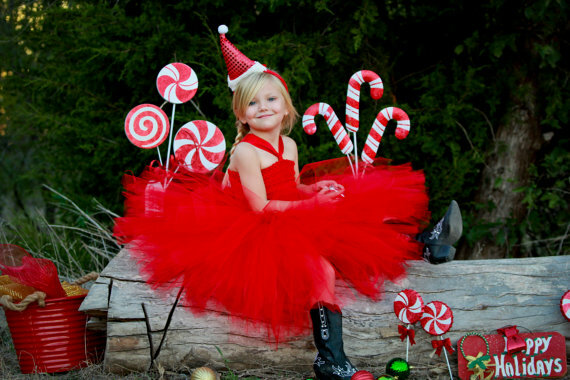 The bow is on a clip and can be attached anywhere on the skirt. 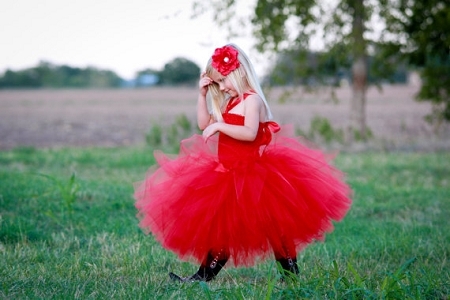 This pretty dress can be worn for your special event, a birthday dress, or flower girl!